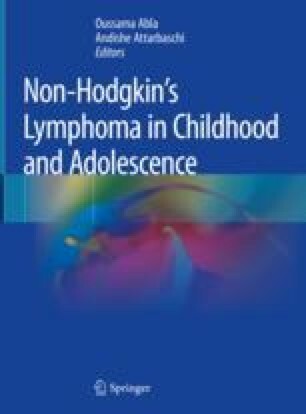 Lymphoblastic lymphoma (LBL) is the second most common type of non-Hodgkin lymphoma (NHL) in childhood and adolescence accounting for 25–35% of all cases. The majority, 70–80%, is of T-lymphoblastic origin, and 20–25% arise from B-lymphoblasts. With intensification of therapy in the last decades, the event-free and overall survivals for pediatric LBL patients are now exceeding 80%, but the burden of therapy causes considerable morbidity and late sequela. In addition, the prognosis of relapsed patients remains poor (Schmidt and Burkhardt. Pediatr Hematol Oncol. 30:484–508, 2013). This chapter will focus on the pathogenesis and biology of LBL, recent advances in the therapy of LBL, and ongoing and future efforts in optimizing therapy and developing novel targeted treatment approaches.